Latest issue of Esquire had a number of pieces that didn't necessarily stand out for the flowery prose, but were well written and on interesting topics (or at least contained interesting tidbits). Lengthiest feature was Counter-Terrorism Is Getting Complicated by Tom Junod on a Federal conspiracy to commit terrorism case against retired Navyman Fred Thomas and three other seventy-somethings in rural Georgia. Detailed what was either a proactive ferreting out of terrorist ambitions or a shady government informant leading disillusioned old people down the path of horrible crimes they would have never committed. Two other interesting features from this issue involved the topic of information and how it's acquired, used and communicated. The Man Who Knows Everything was written by Ryan D'Agostino and profiles Tibco Software and it's CEO Vivek Ranadive. Tibco provides infrastructure software and goes beyond this to efforts like it's TopCom communications platform for use by world leaders. A second Esquire piece around information was If You Could Master All the Data in the World... penned by Chris Jones. Story is on Jeopardy winner Roger Craig and the work he did to identify knowledge needed to be successful on the show. Out of this, Craig is now attempting to take this idea of learning patterns and attempt to pass it along commercially. Finally, this Esquire edition also contained two celebrity pieces that contained nuggets of interest. Ricky Gervais: The ESQ+A was done by Scott Raab and had some very cool content from Gervais about staying true to himself in his work. A cynic could say it's easy to do that when already successful, but there's probably also a lot to be said for the idea of this approach helping someone make it in the first place. Also interesting was Mike Sager's Who Doesn't Love Woody Harrelson? which included quite a bit on Harrelson's avoidance of chemicals and processed/artificial food. Couple of excellent feature stories in the last two issues of Time Magazine. 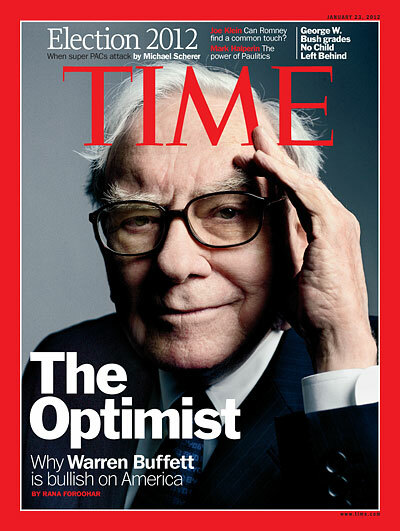 Cover story from the Jan 23 edition was Warren Buffett Is on a Radical Track and it featured a look by Rana Foroohar at the business titan. 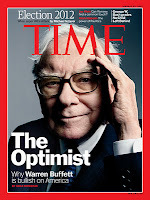 Some of the things detailed and touched on in the piece were Buffett's belief the economy will continue to improve, his views on taxes for the extremely wealthy and personal life. It's an extremely well written profile on an important and interesting guy. To this point, the piece made more appealing the idea of reading Alice Schroeder's biography The Snowball: Warren Buffett and the Business of Life. 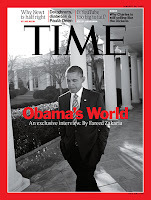 From the most recent Jan 30 issue were two excellent features... including the cover story on President Barack Obama and his foreign policy record thus far. Written by Fardeed Zakaria, The Strategist is a nuanced and equitable piece on the foreign policy successes in addition to failures thus far Obama has had. Also from this issue was The Beast With A Billion Eyes on YouTube, it's place in American viewing habits and where it's trying to head. Solid writing as usual by Lev Grossman and a very interesting read. Excellent pieces... its a shame Time puts online content behind a print subscriber paywall preventing new audiences from seeing the quality of work. 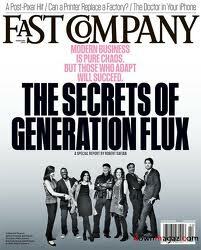 Couple of really good features in the latest issue of Fast Company. First two pieces that stood out both relate to the cover verbiage and and get into how business as well as career management differs from their past iterations. Starting things off, magazine editor Robert Safian wrote the long (and long titled) This Is Generation Flux: Meet The Pioneers Of The New (And Chaotic) Frontier Of Business. Really interesting content that looks at change in business and how people are navigating careers from the standpoint of a toolbox of skills to take anywhere rather than simply hitching early to a corporation and hanging on. Closely related to this career management path was the companion piece of The Four-Year Career by Anya Kamenetz. Solid stuff about how jobs and people's employment in them is going to change over time and workers should expect, be ready for and use to their advantage this change. Not really connected to the first two stories, but also interesting was MakerBot's 3-D Printers Let Consumers Dream Up Prototypes Of Pretty Much Anything. But Do We Need More Plastic? by Rob Walker. The creation of actual objects at home based on the specs... an entirely new concept that could well become common in the future. Came across a few weeks ago a short and terribly insightful piece by Scott Raab (Esquire guy) on his website. The succinctly titled Writing has his advice for aspiring pen to page types and (to over simplify) boils down to if someone wants to be a writer, they write... and then they keep doing it. Raab's advice reminded me of stuff I've linked to from James Altucher (who extols the virtues of writing fast and self-publishing) and Brandon Sneed (who did a few few posts on the writing process including an encouragement to write a book) and while not just on writing, seems in line with a Dave Eggers piece I recently found. Taken from a 2000 interview with The Harvard Advocate, his words on the dual subjects of creating / not dismissing create a mental visual of Eggers standing at a pulpit and railing away with his truth. What makes it all the much better is how much truth there seems to be in what Eggers so forcefully proclaims. Very cool stuff that connects with messrs Raab, Sneed and Altucher is that each writes about the process of writing (heck, the process of anything if you want to expand the circle a bit) getting accomplished by just doing it and Damn the torpedoes, full speed ahead. One of the hallmarks of good writing is it conveys a story outside the life experience of the reader and there's been a number of pieces I've come across lately that fit this bill. Subjects of the various works cross a wide spectrum of the population and how they became story subjects varies from decisions made, life circumstance or simple chance. Two of the pieces stood out in detailing people whose lives are so far outside of my own to have them almost seem from a different species. The Ballad of Johnny France is a Richard Ben Cramer story from a 1985 issue of Esquire and reprinted with author permission on the blog Alex Belth's Bronx Banter. It's the ridiculously fascinating story of Montana Sheriff Johnny France and fugitive mountain-men Don and Don Nichols. After kidnapping (apparently in a twisted bid for female companionship) biathlete Kari Swenson, the elder of the father-son duo wound up shooting and killing a would-be rescuer and then they disappeared into the wilderness. Cramer's is a long and multi-faceted feature which not only portrays people living far outside the norm, but which utilizes language in the story as a way to drive home the difference. Other piece in this different life than mine category was much shorter and remarkable not as much for the writing, but for the choice made by the subject of the story. Gang tattoo leads to a murder conviction is by Robert Faturechi for the L.A. Times and introduces gangmember Paco Rivera, who tattooed on his chest details of the unsolved murder he committed. Lest this post descend into a quagmire of the twisted and bizarre, two other stories I've seen lately cover people who faced (or continue to face) great hardship and show how to carry through it. Strength From Weakness is an ESPN E:60 feature on former MLB player Ben Petrick and his battles with young-onset Parkinson's. Written by Steve Wulf, the piece reveals how someone cheated of his potential athletic greatness seems to have created a form of greatness with the life circumstances he now has. Additional piece of feel-good inspirational value is Cary Williams overcame abuse and anguish on way to NFL by Kevin Van Valkenburg. Written for the Baltimore Sun, the profile on Williams details his hardscrabble early childhood, abuse suffered at the hands of his single dad and then being taken in and lovingly raised by extended family. Out of this, Williams then followed a fairly rocky path to his current position as a starting cornerback for the Ravens. 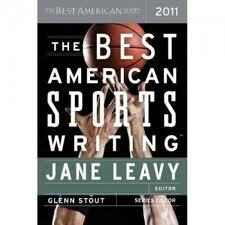 Recently finished reading The Best American Sports Writing 2011 and found it had a ton of great writing. It's probably a strange critique, but it seemed a bit like cheating to have the type of great stories I like discovering all compiled for me by Glenn Stout (series editor) and Jane Leavy (2011 edition editor). That said, the point of a compilation like this is to pull in a number of excellent pieces and it was accomplished well by Stout and Leavy. There's 29 stories reprinted in the book and of those I had only previously seen four (all in Sports Illustrated)... High School Dissonance by Selena Roberts, Eight Seconds by Michael Farber, Pride of a Nation by S.L. Price and The Courage of Jill Costello by Chris Ballard. Of the remaining 25, five were from ESPN (one ESPN The Magazine and four the website), two each from The New Yorker, GQ and the L.A. Times and the rest from sources with one piece each featured. - Sally Jenkins for the Washington Post with Culture of Silence Gives Free Reign to Male Athletes - very short and exceptionally well written missive on incidences of assault (including murder) tied to male athletes and the warning signs oft ignored. - Paul Solotaroff for Rolling Stone with The Surfing Savant - written about Clay Marzo and his experience growing up to become a professional surfer who also has Asperger's syndrome. 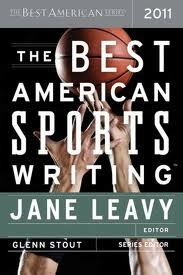 Compelling writing about someone pulled in different directions by (often times well intentioned) people. - Bret Anthony Johnston for Men's Journal with Danny Way and the Gift of Fear - super interesting piece that similar to the one of Marzo, features an extreme sport (skateboarding) phenom who went through a number of challenges growing up. - Chris Ballard for Sports Illustrated with The Courage of Jill Costello - piece was previously included in my listing of Best 2010 Writing Linked To (not sure why it's included in a 2011 anthology, but no matter). Written about the Cal-Berkeley crew member and her final days fighting cancer while continuing to complete with her teammates. Solid writing about a remarkable person. A lot of great pieces featured in the book and it was overall an excellent read. A bevy of interesting people and companies featured in Businesweek over the past few weeks... and one guy and his startup not from BW, but which bears noting here. Only feature to mention from Businessweek was Head of the Pac by the excellent Karl Taro Greenfeld. About the Pac-12 Conference and it's Commissioner Larry Scott, it shows how much TV money rules the day in college sports, with college football leading the charge. - Charlie Rose Talks to Salesforce.com's Marc Benioff on efforts at the cloud-based CRM company. - Alain Rossmann's Klip, a Twitter for Videos on one of the early Macintosh team and his startup aimed at amateur video on the web. - Keeping the Sea Safe from Plastic on a new biogradable in water material called PHA from Archer Daniels Midland and the startup company Metabolix. "In my life I have met many smart people — Jeff Bezos, Andy Bechtolsheim, Larry Page, Andy Grove, Sergey Brin, Vinod Khosla and Bret Taylor. D’Aloisio belongs with them, I am convinced. Not because he has started the next hot company — who can predict what will be hot? But instead, he is a self-taught polymath, who is so adept at learning from reading, listening and observing. He is an old-fashioned technologist who was born this way." Two excellent feature stories from the last two issues of Sports Illustrated. From the Jan 6 edition was Tom Brady As You Forgot Him by Michael Rosenberg. It's been widely reported that Brady was a 6th round NFL draft pick out of Michigan, but Rosenberg provides a lot of interesting back story to his time there. Conventional wisdom seems to be that he was always great and nobody noticed, but Rosenberg does a really good job detailing Brady's college experience and how that helped shaped him. Additionally, Rosenberg writes some pretty interesting content on fellow Michigan QB Drew Henson, his career and relationship with Brady. In the Dec 26 Pictures of the Year issue Chris Ballard wrote The Kiss on the Vancouver riots after the Canucks Game 7 defeat. His story really stood out as solid writing that examined multiple characters associated with the riots (a policeman, a rioter, the couple photographed kissing on the street, person who took the picture) and walked though their experiences chronologically. Was a compelling read that felt like it had been reported on very well. Have come across some really good writing lately on the all too frequently not related subjects of politics and how people are fairing financially (with one of the pieces being about this very disconnect). An overview of how individual people and families are doing came from two Charlie Pierce pieces in America's Muddling Purpose, Circa Christmas 2011 and then America Will Only Get Better When It Is Ours Again on the Esquire website. Excellent writing in both and to grossly generalize, the shared message is people are struggling to make it through and just how important that goal is. Unfortunately, politics and the political process oft times seems to be removed from peoples daily lives as detailed well in The SportsCenter-ization of Political Journalism for The Atlantic by Patrick Hruby. One of those pieces that you hope and wish weren't true, but the arguments (which quote the aforementioned Charlie Pierce) valid. People can still accomplish things (and we still have feel good stories like The Bank Around the Corner by Alan Feuer in The New York Times), but has definitely been some solid writing (including by James Altucher) which argues that political results and scoreboards oft don't matter for individual people. The James Altucher book I Was Blind But Now I See that I reviewed yesterday was timely as I've seen a raft of pieces lately on Altucher's topics of education and opportunity. A pretty firmly held idea from the book was traditional higher education being overvalued and in the past two weeks I've seen M.I.T. Game-Changer: Free Online Education For All from Forbes and mention of the organization Code Year and it's push to have people learn the skill. Additionally, there's been a number of other pieces recently that at least in part echo the the Altucher refrain of there being opportunities out there for those willing to pursue them. Seth Godin wrote in his The chance of a lifetime blog post of how it may be a rough time for traditional business as usual, but the conditions are there for innovation and entrepreneurship. This concept reminded me a blog post from Clay Travis titled 2011 Belonged To Twitter, So Does the Future of Sports Media. The piece from Travis is about Twitter, but beyond that, there's the theme touched on by Godin and hammered at by Altucher (easier of course to go deep in a book) of technology and how it's created, enabled and changed communication and business. Also interesting from Travis was his mention of things to come in the form of Twitter monetization... which brings to mind Altucher's encouragement to think of and write lists of ways to utilize existing technologies. On this subject, I recently came across the blog post bitly in 2011 from the URL shortening company heavily utilized on Twitter. Lot of opportunities and ways to move towards them being written about out there. 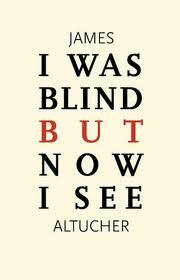 Recently finished an interesting book in I Was Blind But Now I See by James Altucher. Altucher is a former finance guy who was at times fabulously wealthy and completely broke and his current writing (including a frequently posted to blog) leans towards the self-help variety with this book describing what makes him (and may help make others) happy. It was self-published using CreateSpace from Amazon and doesn’t seem to have been closely edited, but if a reader would dismiss the book due to typographical and grammatical errors, they’d miss out on some excellent points and ideas. • Physical – Advice includes sleeping enough and not drinking to excess (ideally, not at all). • Mental – Idea is to challenge your mind continuously and steps to take include engaging with others and assuming they have wisdom to pass on and simply writing down lists of ideas. • Spiritual – Even if someone not religious, daily work in this area could be as simple as taking time to be grateful. • Emotional – This is the area that Altucher spends the most time on and simplest manifestation of action to take would be people should do (and think about) things that make them happy and not do (or think about) things that make them unhappy. • College as the path to learning – He writes of people spending 4 or more years in a higher education system that leaves them in debt and still not knowing what they want to do for a vocation. Alternative would be to try to simply start doing things of interest to see if they’re still interesting after having been experienced. • Home ownership as an important goal – Idea here is that the purchase of a house both ties up capital that could be used elsewhere and can hold someone back from opportunities elsewhere with the financial obligation to a bank. • Being caught up in the daily news cycle – Point made is that news organizations often-times get caught up selling fear and sensationalism. As few of the things (including politics) reported on actually impact someone’s life, reading about or watching reporting on events can often just be avoided. • Spending time on bad thoughts and situations – This relates very closely to the emotional category that would be worked on via a daily practice. Altucher writes of a number of different applications of this concept with things to avoid including: resentments, dwelling on problems, anger, attempted revenge, gossip & spending time with or thinking about people that bring you down. He details how the best thing to do with people who are not being useful is to just write them off and get on with life. Really, there's a ton of content in the Altucher book and (like any book) its up to the reader to make of it what they will, but his basic concept of "spend time on things that bring happiness, avoid things that bring unhappiness" is both profound and seems very actionable.